Disclosure: Candlewick Press sent me a copy of these books in exchange for an honest review. All opinions are my own. Did you know April is National Poetry Month? In honor of that I thought I would share three books that involve poetry. All three books are from Candlewick Press. Have you discovered them yet? I love their books. They are always amazing quality in product as well as the writing. I have never been disappointed by one of their books. The first book is What is Poetry: The Essential Guide to Reading & Writing Poems by Michael Rosen and illustrated by Jill Calder. 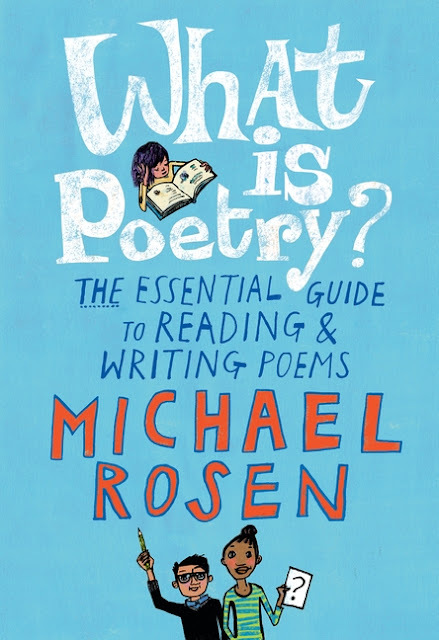 In this book Michael Rosen discusses poetry--what it is and what it does. He doesn't really answer what it is straight on but goes about what it can be and do. There are examples of different poems to show how poems can vary. Then he gives tips on writing and reading poems. It is all in here and Rosen presents is all in a very easy to read and entertaining way. It is packed full of different information. It talks about how different poems can be as well as analyzing classic poems. He shares his own tips for writing poems as well as how poems resonate with you and give you more information each time you read them. This book is recommended for grades 3 to 7 and is the perfect addition to a poetry unit or nonfiction reading list. 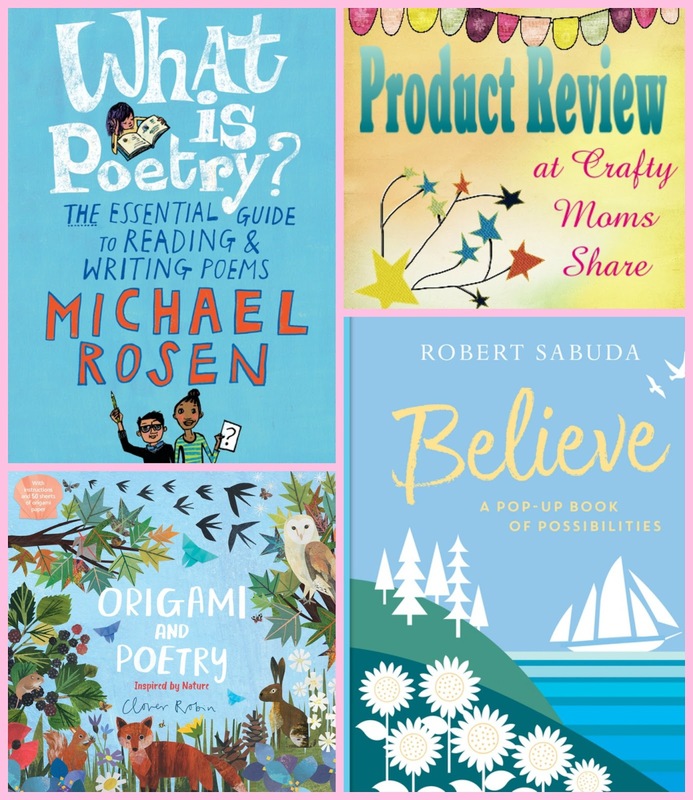 It will entertain the reader and teach him or her all about poetry and perhaps inspire him or her to take time to write his or her own poems and certainly to read some poetry. 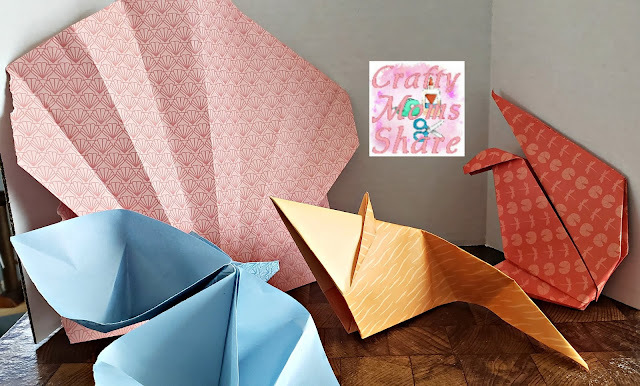 Our next book combines origami and poetry. 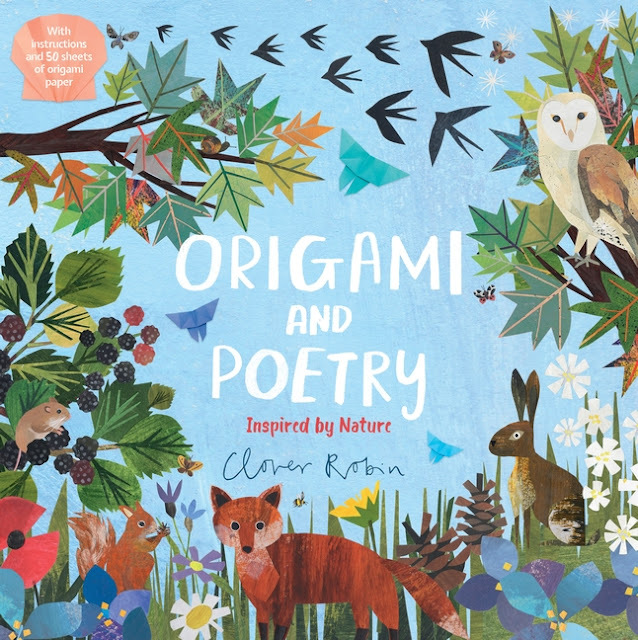 It is Origami and Poetry Inspired by Nature illustrated by Clover Robin. There is a poem about nature from famous poets with an origami project that corresponds with the poem. 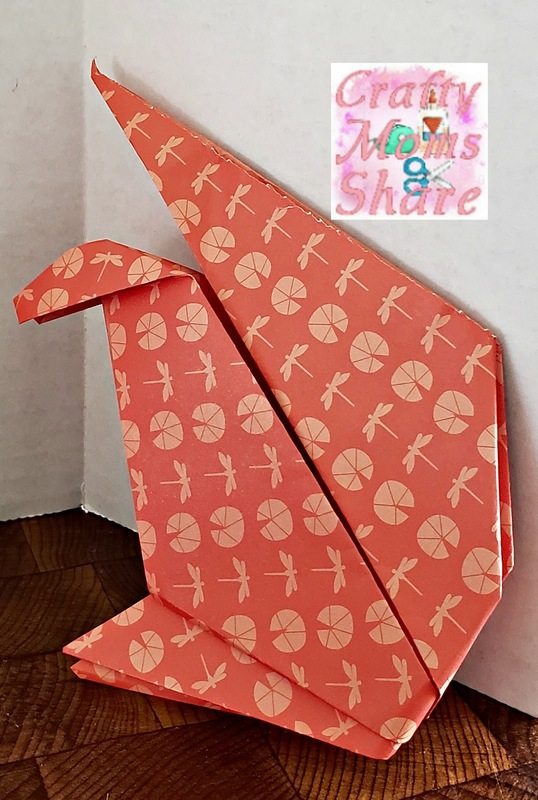 The origami projects range from shells and flowers to hares and foxes. They also range in difficulty. Each project is rated on a three dot rating. I tried some of the projects in each category. 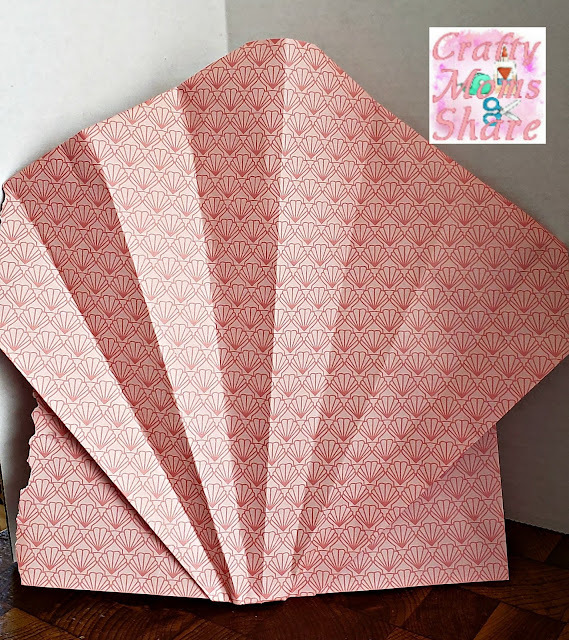 The book comes with large pieces of origami paper in the back of it. I found the instructions easy to follow but for the difficult ones it helped that I had some origami experience. My only complaint is that the paper is in the back of the book like a pad of paper and I had trouble getting the first sheet out since I wanted a color from the middle. That is why the shell is a bit ripped on the edge. The shell is one of the easy projects. It was very easy. I do think it would look better with smaller paper, but I did these right before bed and didn't feel like playing around too much. For medium I tried the flower and the dormouse. Both were relatively easy. The flower takes a bit of work to get the petals opened how I wanted them. The back one is still a bit squashed. Then I really wanted to try the squirrel because he was so cute and I don't usually see them in most origami books. This book is recommended for grades 5 and up. I think Hazel could do most of them however and she is in grade 4 and the easy ones could be done by younger kids. I also think the large paper lends to being a bit easier with which to work. Our final book may not officially fall into the poetry category, but I felt it was poeticish. 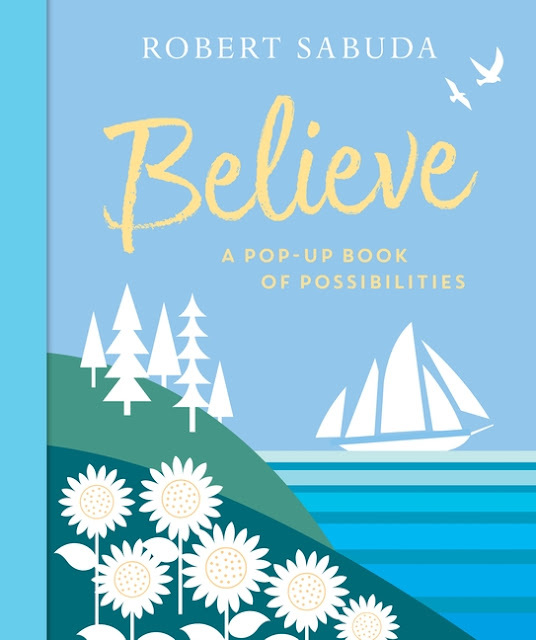 It is Believe: A Pop-Up Book of Possibilities by Robert Sabuda. 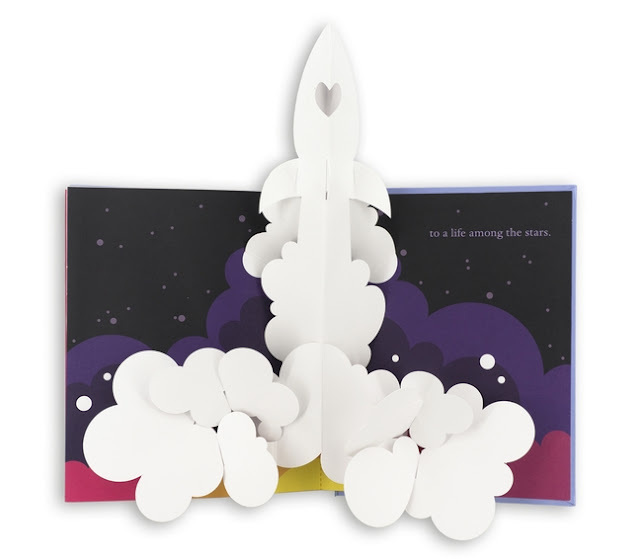 This beautiful pop-up book asks questions about life--when I grow up, when I strive for my goals, etc. Then it answers them with gorgeous paper cut pop-ups. It is a book that celebrates growing up and milestones. The words are simple but they get the imagination soaring and the pop-ups are intricate. It is recommended for Kindergarten through grade 3 but also suggested as a gift for graduates or anyone moving into the next stage. I love how the pop-ups are all white. I feel like it helps lend to the imagination and dreams of the reader. This is just a sweet book. I hope you will check out all three of these books and dive into poetry this month!